The simplest way to send the demo player for a script of the analytics page is to use the sharing link (detailed in this blog post). However, sometimes you want to send more than one script and stop it expiring after 30 days (as the share links do). For this, its best to create a demo user and then share scripts with that user. Create a user with User Type of Demo. This prompts you to give the user a name and choose a pass code. To share scripts with this demo user, go to each script’s settings panel and choose this user to share the script with on the sharing tab. The image below shows the “Become a monster” script is shared with the “7stars” demo user. You can share this link with your contacts along with the passcode and when they click it, a log in box will appear, prompting for the passcode. When the user logs in they see the demo player with all of the scripts that have been shared with that user. This way you can send many scripts in one demo player. This post outlines how we handle users, groups and roles in the Studio. 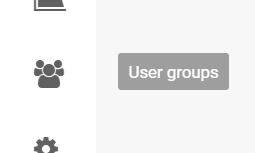 You can create a new user by clicking the + button at the bottom of your user group. Creating a new user will send them an email to verify and let them choose a password. Every user is a member of a user group. Users within the same group can see the same set of clients, campaigns and scripts. What they can do to those elements in governed by their individual role. There is a special type of user called a Demo user that can be shared with others in order to share multiple scripts in one demo player. See this post for details on how to create a demo user. Analytics is a huge topic. So much so that we have broken this blog post into three. Below the overall campaign data, the analytics page reports individual script delivery. You can choose which script from the drop down menu. The panels show the Impressions / Complete / LTR and CTR data for that script, as the overall campaign data above did. Next to that is a breakdown of the Top 3 operating systems (OS Types) and Device Types that have requested this script. The OS options include Android, iOS, Windows, Mac OS, Linux and Other (which accounts for any other operating system that we do not recognise or device / app that does not report its OS). Device types include Mobile, Tablet, Desktop, Appliance (such as home speakers or TVs) and, again, Other (for devices that we don't recognise or don't report). Depending on the complexity of a script, there can be thousands, if not millions of different versions of the audio. Showing all of these potential versions in one comprehensible way is difficult so we designed the flow diagram to try to show the many different routes through a script. The flow diagram goes from left to right: zero seconds on the far left through to 30 seconds (or however long the script is) on the right. The width of each line represents the relative proportion of impressions flowing through each branch of the script. Use the Zoom tool to see the whole chart, or focus in on the area you are interested in. Rolling over a line in the chart shows the number and proportion of impressions that flowed through that line (101.5k (22.2%) impressions for the line "Get down to your local B&Q" as shown in the diagram above). The rules that have been set in the script dictate how the impressions flow through that script. These are shown in the bar above the flow line. Click on a branch, or the rule at the top to see further detail for that rule. 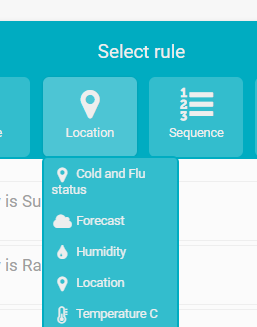 The overview charts that pop up on the right will depend on the type of rule. 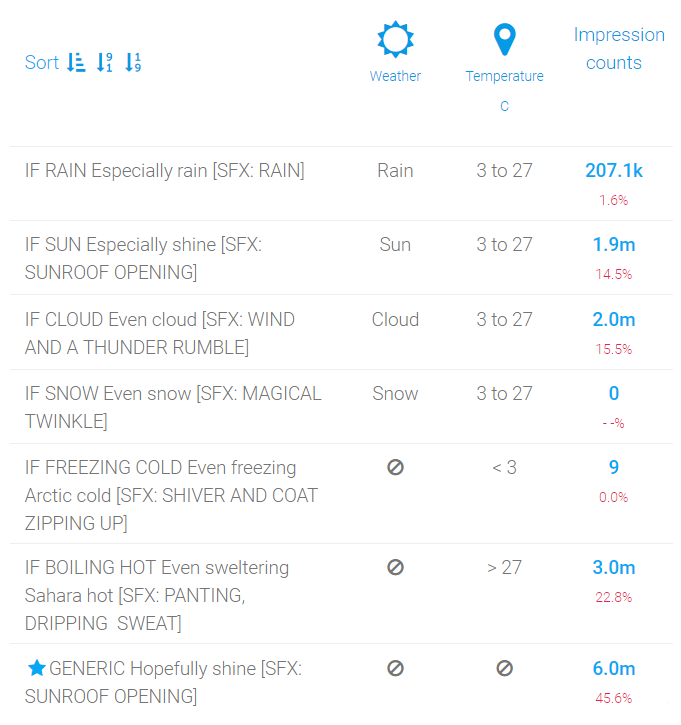 Default: Using weather as an example, where there are four possible choices (Sun, Rain, Cloud, Snow), if the script only contains lines for, say, Sun and Cloud, and a default line for the other conditions, then the chart will only show Sun, Cloud and Default (even though the default line might have been served to users whose weather condition was Rain or Snow). Ignored shows that data was ignored to choose this route through the script. See the blog post on ignoring here. Below the charts is a data table that can be sorted by number of impressions. The blue star shows which line is the default. Measure the default condition separately from the rules you have created by duplicating a line to serve as a default setting, and using the same audio. On the main analytics page, the top bar shows campaign delivery: the overall delivery of all scripts in the campaign. The first number shows the number of impressions served and the blue wheel around that number indicates how far through the total that is, which is the number shown by Complete. Unique is the total number of impressions from unique identifiers that we have seen for this campaign (which can be made up of many scripts) divided by the total number of impressions. 34.4% means that each user has heard this campaign just under 3 times each. 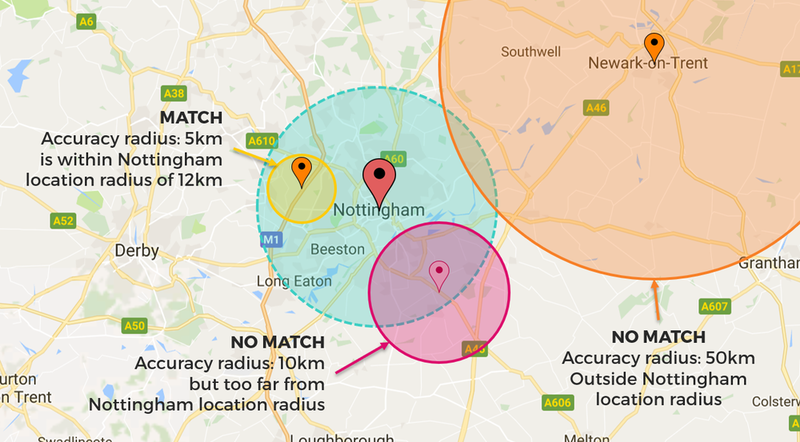 Listen Through Rate (LTR) is the total number of End tracking pings we receive divided by the number of Start pings. Click Through Rate (CTR) is the total number of clicks divided by the total number of impressions. The impression targets delivery chart shows how the campaign is delivering over time compared to the average number of impressions per day (calculated by dividing the total number of impression in the campaign by the total number of days between the campaign start and end dates). This chart is useful to quickly see if a campaign is over or under-delivering. Note, the delivery chart is not shown after the campaign end date. The next chart shows how the different scripts in the campaign have delivered over the selected time. If you have multiple live scripts in a campaign or have re-published scripts within a campaign (either under the same publication key or multiple publication keys) then you can see how each of those scripts has contributed to the overall delivery. 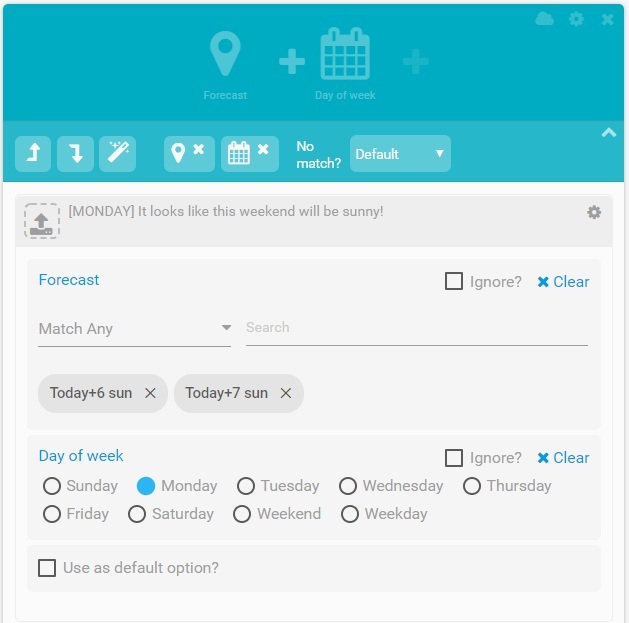 You can choose to show delivery by Campaign, Week, Day or Hour until the present moment. The next section of data is all based on the script that you choose from this campaign. By default, the script that has delivered the most impressions in this campaign is selected. Our next blog post covers how we provide analytics for an individual in more detail. The analytics story continues over at part 3, here. We provide a comprehensive set of analytics tools to show you exactly how a campaign is being delivered from the moment it starts. The general principal is that the our analytics shows delivery - how impressions for that campaign or script have been served. Today we don't measure anything other than delivery as the only metrics we have are impressions (and a few clicks) - see audio measurement side bar. 1. Dashboard. The dashboard card for each live script shows how many impressions have been served relative to the total impressions target and provides a quick reference impressions chart as a shadow in the background of the card. 2. The Analytics button from the main toolbar. This takes you to the analytics overview page that shows the delivery of all of the scripts currently running that your user group has access to. Each frame contains a chart that shows delivery of impressions over time, total impressions served relative to the total impressions target of that campaign and the proportion of unique users. Clicking the blue chart icon will take you to the individual page for that script. Clicking the chart icon from anywhere in the interface will take you to the analytics view for that campaign or script. If a script has not been published or no impressions have been tracked then the analytics page will be blank or unavailable. The analytics system uses the campaign start and end dates and the impressions totals for each script. Note: these settings in our system are purely to power the analytics: A Million Ads does not control campaign delivery. Campaign start and end dates, number of impressions, frequency capping, front/back loading, targeting and segmenting is all done at the ad server / SSP / DSP level - we simply obey the requests that come our way. Many of the charts here will be replicating charts that you can find in other systems. We hope that our eye for nice design and usability make is preferable to use our tools over others you may have access to. Audio is a hard medium to measure because it is typically consumed in a passive way: on the radio in the corner of the room, in the car, on your headphones plugged in to your mobile ... that is in your pocket. So, unlike other digital media, there are very few signals from users to measure performance (video has view-through-rate, display has click-through, desktop has cookies for attribution etc). Some audio ads are delivered with companion images that can be clicked on, and the click can be measured, but click have been widely discredited as useless, as they don't stay on beyond the audio, if there is an exit or cancel button, most clicks are false positives as people go for the cancel button and miss! We track impressions, clicks, when the ad starts playing and when playback is complete, and we display these data points in the analytics page, but it all comes with this "health warning"! In time, voice activation will prove to be a useful interface for users to interact with ads, but for the moment, impressions is all we have. This is just the start of the post on analytics. Continue the story in part 2, here. We have defined a custom data field called "Walkers" and told the script to change based on the number e.g. "Over 70,000 walkers are taking part ..." is the default, but with the override set as per the screen shot, the script changes to "Over 80,000 walkers are taking part". You can use this for things like changing a product (for example: 3 products are on sale, but one has just sold out! ), price (dynamic pricing based on demand) or prize fund (this week's lottery jackpot amount). The settings page above can be made available to the client or agency themselves, giving them real control over their creative and is much simpler than making an API connection ... once the save button is pressed the next ads served will reflect the change. Here is an example of changing an override whilst a campaign is in flight. In this example, we change the jackpot amount of the lottery by simply changing a value in the script settings.